As a child one of my favorite things to do was grab 2 chairs, a jump rope and a blanket and make a tent. I would set it up in the living room and my sister and I would have a blast for hours. The fond memories came flooding back to me when I came across this super cute DIY play tent tutorial over at Cakies blog. It seems pretty simple and straightforward. Just a some fabric, mouldings, dowels and a drill and you have what it takes to make this tent for your childs playroom or bedroom! Once my daughter is old enough I will definitely be making her one of these beauties, I can totally picture it in an Amy Butler fabric pattern! 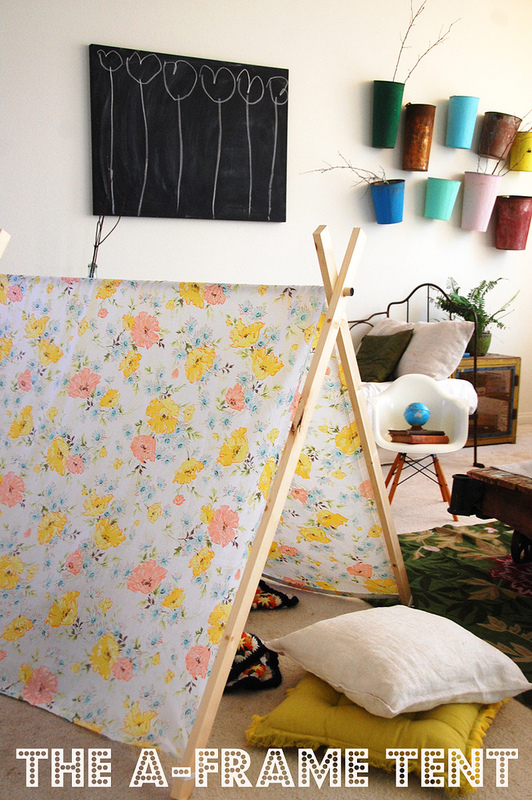 Head on over to Cakies to get the full DIY play tent tutorial. What a cute idea! Love your blog and I’m a new follower.